I’m going to be honest, something pretty new for me. Blogging gives me grief. I really like reading other people’s blogs, but maintaining my own blog is such a pain, for a few reasons. 1. I get in trouble when I don’t update enough. 2. I get annoyed that when I do update regularly, it’s all nonsense. 3. I get frustrated because I forget my password and it takes me so long to remember which password I used, that by the time I’ve figured it out, the inspiration I once had to blog, is gone. 4. I get annoyed because the kind of posts I want to do, take forever to do. 5. I get annoyed because I don’t have a camera. 80% of the blogs I read and made up of posts that are 80% full of pictures that people have taken. No one writes blogs anymore, they take pictures. It’s a pity I don’t have a camera, and that I can’t do anything to take a picture of. All I can do is write, and in this day and age that makes for a boooorrring blog. 6. I laugh because I actually don’t care about most of the things I wrote about above, I’m just really stretching the boundaries of what an acceptable blog is. But still.. I really do obviously need to get a camera to stay hip and happening. Does anyone bother to check my blog anymore? I have no idea. Haha. to anyone who regularly checked my blog in the past, i’m sorry. ever since i was made redundant at my last job, i’ve been a little bit mia. it’s been an interesting stage of life and while parts of it i have greatly enjoyed.. i’ve sort of felt out of the loop for the last 2 or so months. SHOUT OUT TO ALL THOSE IN HOSPITALITY. I have been meaning to do this post for a while. I have a few friends in hospitality who whinge a fair bit about the industry. Blabla long hours, blabla sore feet, blabla lame customers. I kind of thought they were all cry babies, no offense guys, but that’s what I thought. I would like to take back my thoughts, which thankfully were rarely verbalised until now, and actually congratulate you on what is a difficult industry to work in. In this current job climate, I didn’t want to take the risk of being jobless for the next 6 months and as Centrelink has screwed me over time and time again (Laura, that Centrelink expose is still in the works) I got a casual job as a waitress. Having had little hospitality experience (try none actually) but decent connections (the good old family kind) I got a job at a fairly classy joint serving rich and snobby people lots and lots of alochol and other assorted foods. It’s kind of hell. Seriously though, really short breaks, 11 hour shifts, cranky customers, cranky coworkers, being felt up by some drunks, 4am wake ups, losing your car in carparks at 2am, excruciating pain in the foots, spilling champagne all over snooty guests, working on a four level building and not being able to use the lifts, stinking like beer, wine stains. It’s not a job I will be sad to say goodbye to. However – I am grateful to have some source of income, which is more than a lot of people can say. I’m looking forward to some more blogs… my inner nerd and need to talk about myself has been suffering. I arrived at work today to receive a very frustrating email, that perhaps deserves a post of its own (once I have cleared by head so I don’t go totally crazy online) but since I am frustrated somewhat, I thought I should at least express the frustration outwardly. And so.. my list of sayings and words etc that frustrate me.. Feel free to comment and add your own! Totes – I think this means totally. Either way. No offense to anyone who uses these words or phrases from time to time. I’m sure I’ve used them before. Except for totes. Well it’s been a while since I last posted but I feel I need to vent and this is a good place to do it. What frustrates me is bad drivers. Recently I’ve been honked at or flashed by some angry drivers because of me cutting them off or entering a round about too quickly. But — if they weren’t speeding, I would have had plently of time to enter the round about safely. Don’t honk me, or flash your lights at me, if you were just obeying road rules — I wouldn’t be in your way!! Luke Matthews comment on Jeremy Frasers Blog. I have been inspired to post. I feel like I have to take a stand for the bloggers out there. The REAL bloggers. 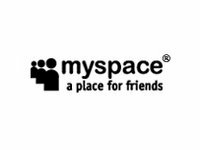 I have indeed joined MySpace – but.. I’m still blogging. Blogger is for the committed. For the truly creative ones. Also MySpace is only for boosting (or lowering) your self esteem. It’s all a big competition. How many friends can I have? How many comments can I get? How many peoples favourite friends lists am I in? How many emo pictures of myself can I display? I still feel that Blogger, through all the hard times, through all the competition, has retained some of its class. There’s something truly wonderful about a committed blogger. People such as Linus, Ruth, Kathryn..Even Jeremy (however infrequent his updates are)..These people are blogging even when they feel their blogs aren’t being heard. Because they don’t really care, it’s not about how many comments they can get, how many friends they can acquire through having a cool MySpace layout.. So in conclusion – Steff says NO to Luke Matthews. I will still blog, no matter how addictive MySpace may be. Note: Although I may look like an avid myspace addict, I really find it quite irritating. I’m sick of it accidently posting my comments twice. I look like a moron! Today, as I was walking back from the post office, I tripped on what I’m sure was a pretty big ditch on the path, while lots of cars were waiting at the red light. It was kind of embarrassing..